The .Hack series continues with this next game. Getting Outbreak was no easy task given how expensive these games are, but I knew that it was time. It took a little while to relearn the mechanics and weird element system (Fire beats Water?….) but once I got those out of the way I was ready to dominate. It’s a really fun game even if it’s the shortest one. I can’t give a great previously segment since I’m hazy on that myself but more and more people are starting to behave oddly. The World appears to be having an impact on the players’ minds. The Mods have decided to shut it down, but doing that would ensure that the people in a coma stay that way which would be unfortunate. Kite decides that the team should strike one last offensive at Cubia and the army of Databugs, but the only way to succeed is to have Helba, Wiseman, and the Mod on board. Beyond the main plot there are a ton of subplots looming in the background. The Cat user from the previous games is deteriorating more and more as the games go by. At this point she doesn’t have long until she is completely corrupted. Her friend is worried but there really isn’t a whole lot that he can do about this situation. 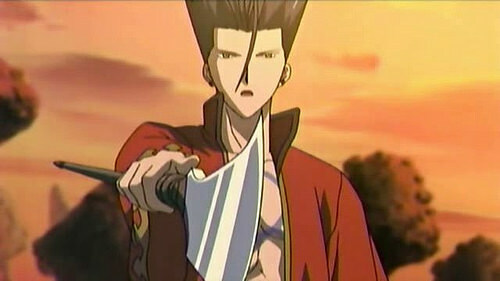 Then you have other characters who are trying to get treasure or other rare items and want Kite’s help with this. One character is even planning to leave the game which would be tragic. I did a few of the side missions. They’re not all that long so it wouldn’t be a problem to do them, but I’ll just put them off til the final game. Then I may have fun saving all of them if I need more rare items or I’ll just try and take the final boss head on. 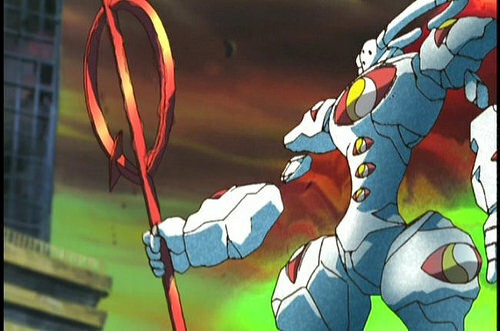 The gameplay is exactly as you remember it with the unique mix of real time and turn based combat. As I mentioned, it will take you a little longer to get used to it if you haven’t played the game in a whole because there are certain nuances that make this game more complex than others. You will have to keep switching your party tactics since your A.I. Allies are completely dependent on this. Then you’ve also got to remember the types. Basically there are many pairs of two elements and both elements are good against each other. Water beats fire but fire beats water. Using the elements is absolutely required and will help you take down bosses. If you don’t use the elements then I’d say that you are really in a pinch.. It’s just such a massive game changer. Level ups are important as well of course. While I was still relearning how to play I quickly focused on level ups. I got about 20 right away and that left Kite at level 70. That’s high enough for you to beat the game. Perhaps not easily, but it is achievable. You’ll still be a bit of a glass cannon without good equipment, but that is hard to get. I barely even notice the difference to be honest so just get used to carrying a lot of potions and revives around. You’ll absolutely need them and when your partners are running low on inventory you should give them some as well. Sharing is caring after all and if everyone is properly equipped it will make the whole journey a lot more manageable. The game’s difficulty is intense, but not unfair. Just have every element on hand even if it means lugging around extra equipment that you could have sold for more money. You can always find more ways to get money, but good equipment is hard to come by. Data Draining powerful enemies is probably the most efficient way of getting effective inventory. The graphics are about the same as the other 2 which makes sense since it’s practically the same game from a technical standpoint. It looks good and the graphics have aged quite well. The glitch effects that occur when a databug shows up are still genius. It looks as if an actual glitch has appeared as the screen will go crazy and it sounds like a computer shuts off. It’s all very meta and really well executed. I’d like to see a modern game take a stab at something like this as well. With other big data games like Digimon and Sword Art Online still going, one of them should try to have an interface like this. I think it would work really well. There aren’t really any new tunes here or maybe there are and they just weren’t memorable. Either way, it’s very nostalgic. You’ll certainly remember hearing these themes from the first two parts and they’re still a lot of fun. I would like to have an extra theme or two, but the ones in the game are satisfying enough. When it comes to the story length this game is a lot shorter than I was expecting. The first game was 25 hours long, the second was 15 and this last one was 12. I guess we’ll see how long the 4th game was but if it’s any shorter then it’s really going to breeze by. I also think I did more of the bonus content in the 1st game which helped its case. After beating the game there are a bunch of side quests to do here so there’s a ton of replay value. Leveling up and getting new equipment isn’t exactly a fast process either. It’s certainly worth the normal price. Granted, this game goes for around 50-80 dollars nowadays so you’ll want to think carefully on if it’s worth it or not. The game’s a lot of fun so I’d say it is, but don’t spend too much on it. Know your limits. It’s why I likely won’t be getting the final game for a while since it’s well over 100 dollars. That’s just way too much money for a single game and hopefully the price will go down at some point. I have to mention one last time that it’s really cool how the game feels like an online MMO. There’s just so much to do here and the game keeps track of every little thing. How many objects you break, enemies met, etc. It gives you an incentive to just keep playing the game and you could easily cross 100 hours just by doing all of this. One slight improvement the game could make would be to allow you to get to the main menu without having to log out every time, but I guess that is for the added realism of being on your computer. It’s definitely pretty meta. 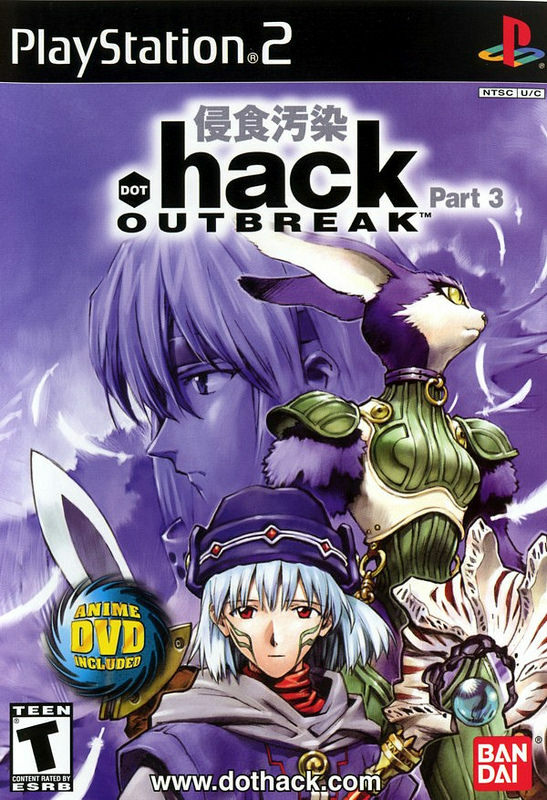 Overall, Outbreak is a solid addition to the .Hack series. While it is a little on the short side, the gameplay and story are on point as always. We’re one step closer to the climax now and I can definitely say that I’m a big fan of the franchise. I’m also looking forward to the GU titles as those definitely seem pretty action packed. Who knows, maybe I’ll do some of the side quests at some point while waiting for the 4th game. At least I leveled up a bunch ahead of time so when the 4th game comes out I should be ready to rock and roll. I just need to remind myself that type advantages are key and by putting that in this review I will definitely be prepared.